Astronomers enjoyed the super moon that showed up on New Year’s Day, and now the Moon is set to amaze people again by being a blue moon and blood moon on January 31 at around midnight. The blue moon is going to be the second time a full moon happens in the same month, and this is something that only occurs every two and a half years. It is also why people say “only once in a blue moon.” However, there is more to it as the two celestial events, the super moon and the blue moon will be occurring at the same time as a total lunar eclipse. Earth is going to be situated in the middle of the Sun and Moon, and this means that sunlight needs to pass through the atmosphere of the Earth and it then scatters green to violet light far more than it does the red light. This means that the Moon is going to take on a red appearance, hence the name of the blood moon. 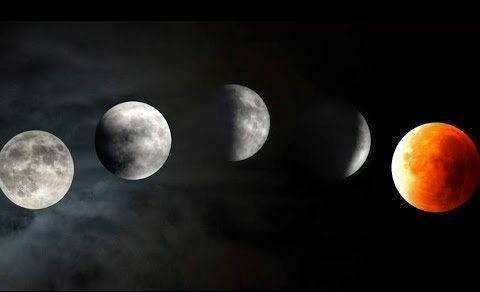 This means that there is going to be three Moon events for astronomers on one night. Astronomers living in Australia, eastern and central Asia, New Zealand and Indonesia will have the best chance of seeing the event. The last time this occurred and all three events occurred together on the same night was over 150 years ago. The Canon of Lunar Eclipses said that the last time that human beings witnessed a total eclipse of the blue moon was on March 31, 1866. People in the United States are going to miss the event due to the eclipse occurring too close to when the Moon sets. The graphic below shows where the eclipse is going to be visible. The point of the greatest eclipse will occur in Australia at about 23: 30 AEDT, and it will last for around 1 hour and 16 minutes.